Researchers at the University of Cambridge (UK) have tested a modified lycopene supplement and found it to boost elasticity and efficiency of blood vessels by up to 50%. The study involved two groups of 36 patients for a two month trial. 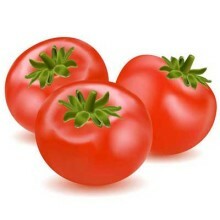 Lycopene (found in tomatoes) was modified to make it more bio available. The researchers think this new supplement could reduce other inflammatory disease processes like arthritis and diabetes. I would like to see a test of unmodified lycopene stacked up with this new one developed by Nestle. It seems incredibly unfortunate that testing of natural products is not economically viable. Modified lycopene supplement shows heart health potential.